Here are the last 5 cards in my simple stories claus and co series ( sorry the top one uploaded twice – not sure what happened there!) 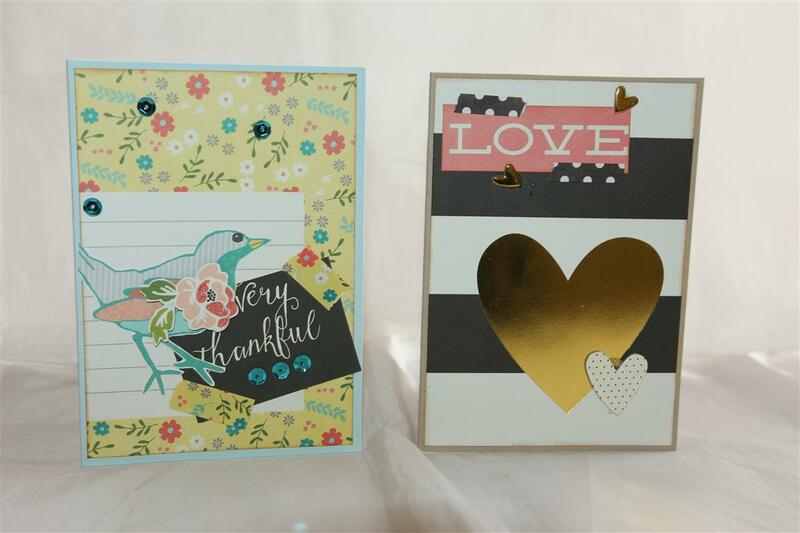 The same simple cards as the others in this series with just the addition of ribbon and bling. 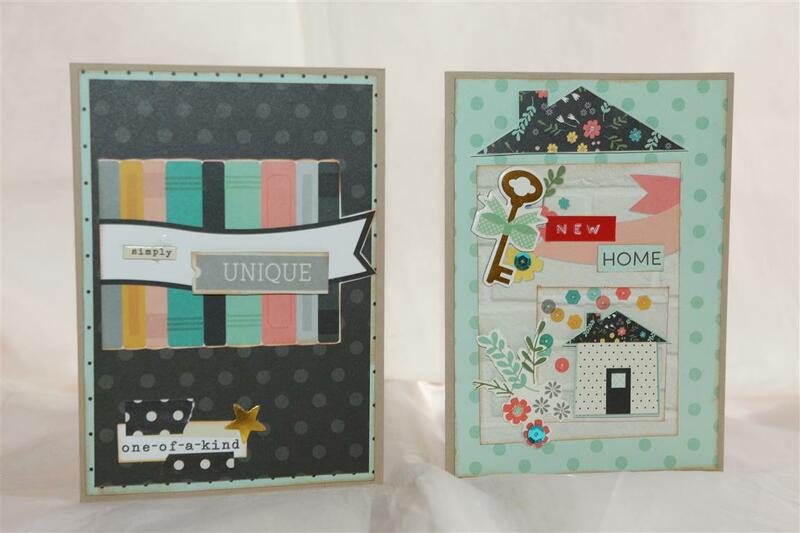 the bottom card is a gatefold card just for something different! No crafting for me today, still resting the knee so spent most of the day with my laptop in bed sorting out my pinterest boards. a bit like spring cleaning really, and I am happy that they are sorted out. til tomorrow…. 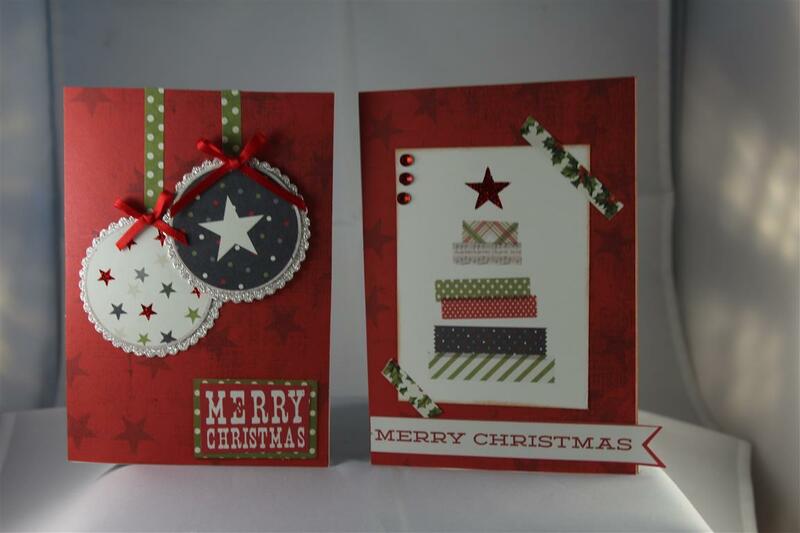 simple stories claus and co 13,14,15,16..
After a short diversion we are back to Christmas cards. These ones are made with Simple Stories Claus and co papers and journalling cards.Everything I needed was on the papers, I just added some ribbon and/or bling for a bit of texture.Today I feel I have made some progress with my knee – I had my MRI and x-rays done,and will find out whats going on on monday. Although it is still not good, I can hobble around a bit with the help of Dads walking stick – lucky he has a collection of them!each little trip requires a couple of hours rest afterwards, but not feeling so helpless as I have done all week!little steps…. til tomorrow…. Simple Stories Claus and Co, 9,10,11,12..
Another 4 cards made with Simple Stories Claus and Co paper collection, along with the matching washi tape and journalling cards. 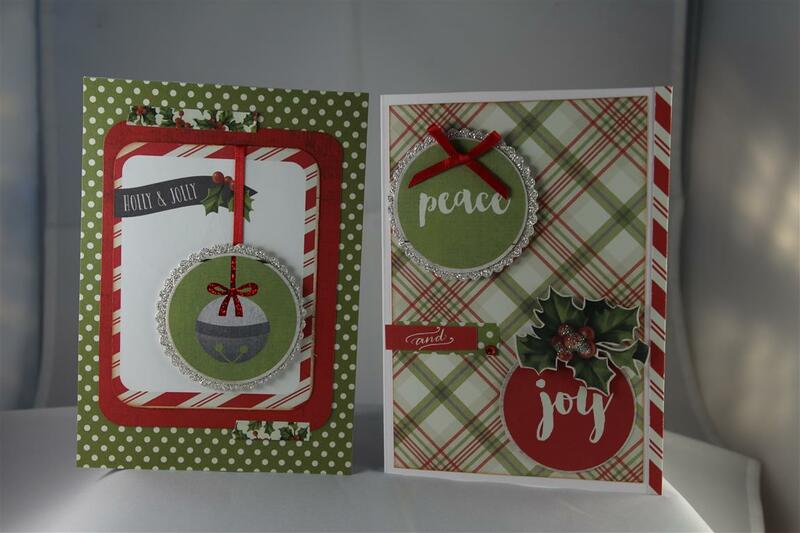 The great thing with this collection is all I had to add was some ribbon and bling for a bit of texture, and not even that on some of them.We will take a short break of a day or two from this collection so that I can show you some non-christmas cards just for a bit of a change! Yesterday I took a box of leftover bits and pieces over to mums, and we sat and made 20 more christmas cards to donate to the nursing home my older sister is residing in. We have started to do this, and the residents are truly grateful to be able to go to the box and pick out cards for their family members. we ( my sister and I) have only been doing this for a couple of months and already 100 cards have been put to good use.It’s great because I have finally found a terrific use for all my odds and ends.Today is another hot day here in Adelaide and the last day of my holidays, so time to polish my work shoes and dig out my uniform! til tomorrow…. Simple Stories Claus and Co 5,6,7,8..
Another 4 cards made with simple stories Claus and co, just the papers, washi tape and journalling cards from the collection.I added ribbon and bling, and die cut circles from glitter card for these ones. 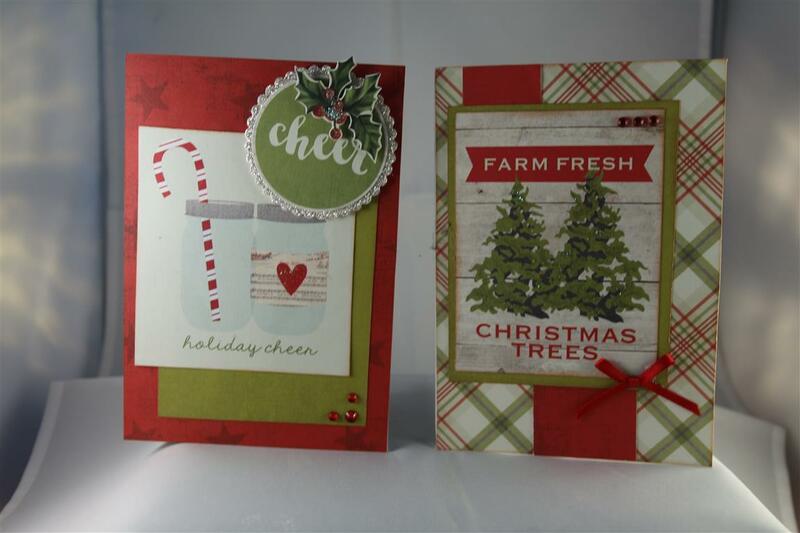 I like the fact that the greetings are incorporated into the paper designs in this collection. Today I have prepared a village lesson, and as I have officially stopped making christmas cards, I can now make a start on all the papers I have been buying and putting to one side. Ahh, what to choose first….til tomorrow….. I do like it when I see anew Simple stories collection on the shelves – i will buy one sheet of all of it and when I get it home I can sit down and make 2 dozen cards in one sitting.The papers this company release fit my style exactly.So this is their Christmas release and I bought the matching pack of washi tape style trim as well.The only things I added were some scalloped die cut circles ( from glitter card) and ribbon and a tiny bit of bling. My back is so much better today. It must have been the walking I did yesterday with my sister when we went on our day trip to Mannum to wander in and out of the shops in that country town.I am off now to the craft room to work on some January lessons … I know next year classes already! til tomorrow….. The final 4 simple stories I am!! Here are the final 4 cards I have made with Simple Stories I Am. 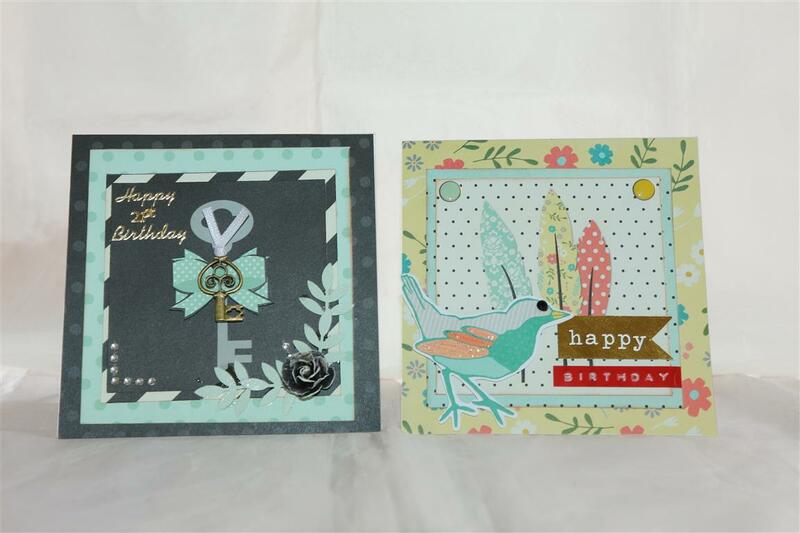 A bit of layering on these ones, and some of the extra embellishments I used were a metal key,ribbon bow,sequins,Die cut vellum butterfly and a flower. 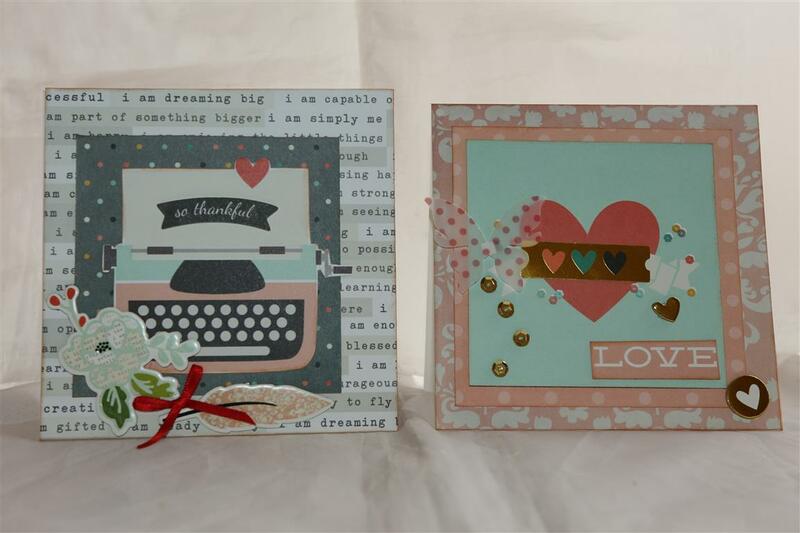 As you can tell I loved working with this paper collection and think I made 32 cards altogether with this purchase! Today was a day off for me but very busy shopping and time spent getting my little car fixed, but I have a little while before I have to organize tea so will head to the craft room to start a couple of customer orders.til tomorrow…. Another 6 simple stories I am.. This paper just goes on and on! !Another 6 cards with Simple Stories I am paper collection, we have one more post and we will be able to move on. 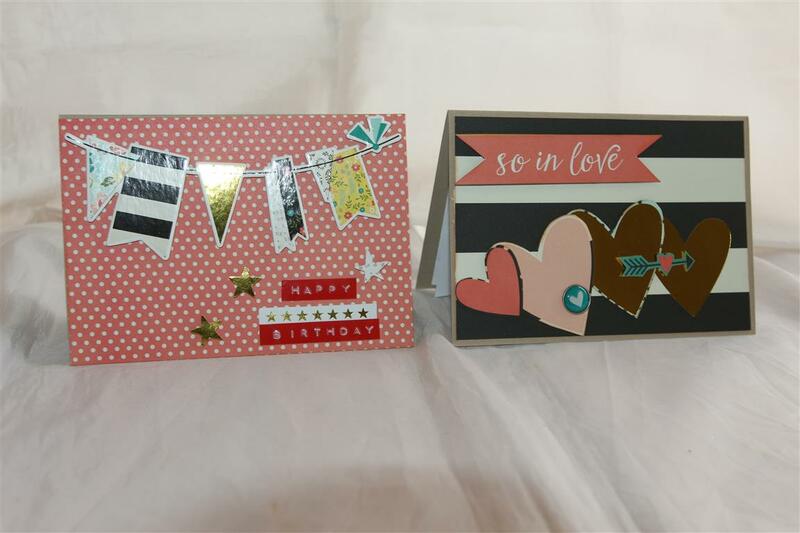 The common theme with this group of 6 is that they only rely on the paper ( except for a few sequins on card 3) .No embellishing required. 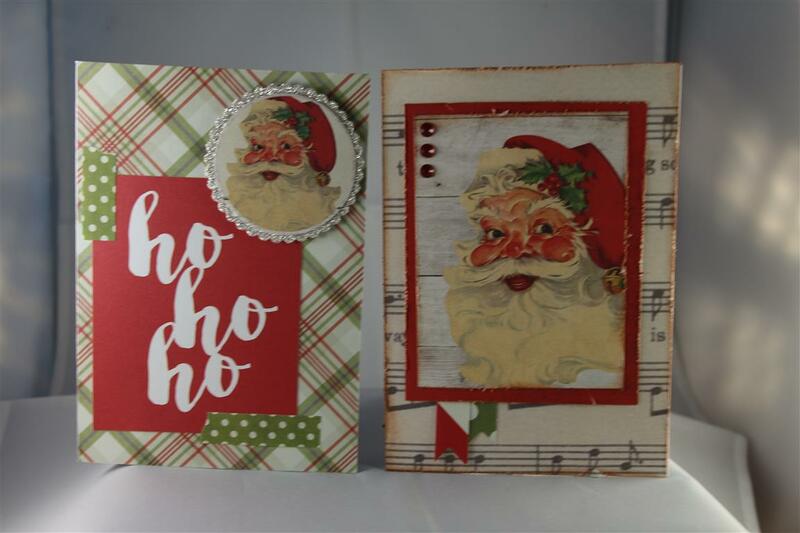 I have been making some cards with kaisercrafts’ new release which is so bright and fun, just what we need in the depths of winter weather! til tomorrow…..